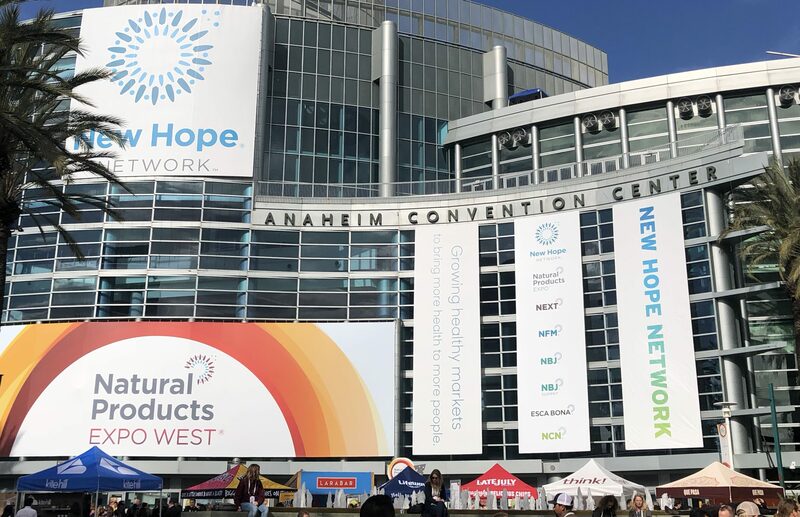 The 2019 Natural Product Expo West in Anaheim last week was the largest show yet. And it was also the best Expo yet. The convention increases in exhibitors every year. On one hand, its never ending growth spurt makes it harder to experience every beneficial aspect of it. To the contrary, there are so many different definitions of natural. Not all of them fit with what’s recommended on this blog. Having more exhibitors every means more companies from all the different approaches to natural, sustainable, and healthy. In other words, more exhibitors which follow what I recommend here at The Appropriate Omnivore, along the lines of pastured meats, raw ferments, natural sweeteners, and general organic/clean prepared foods. 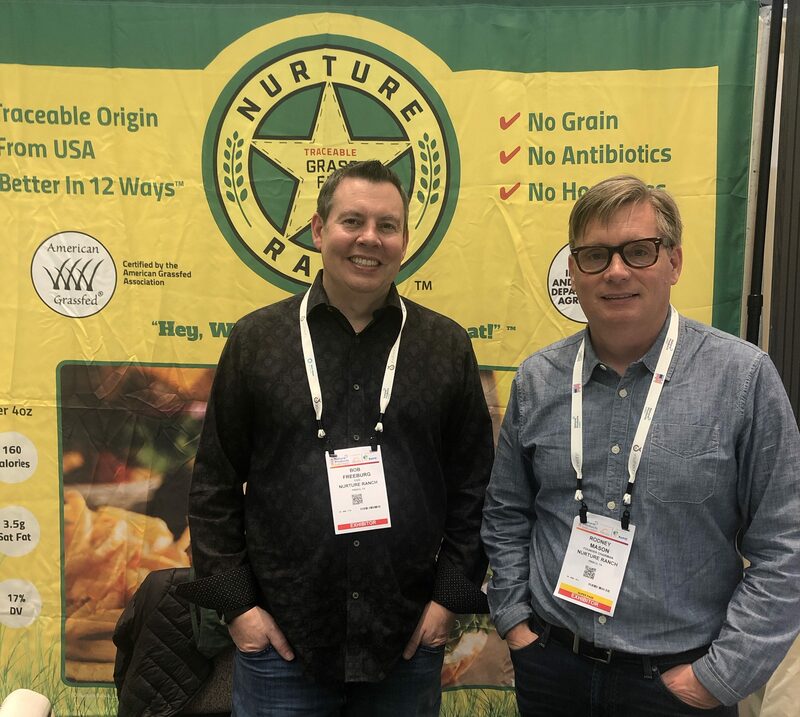 Here are the 10 most innovative products that I saw this year Expo West, including both newly discovered companies and new products by familiar companies. Applegate has been producing sustainable animal products for over 30 years with a large line of various grass fed, organic, and natural meats. 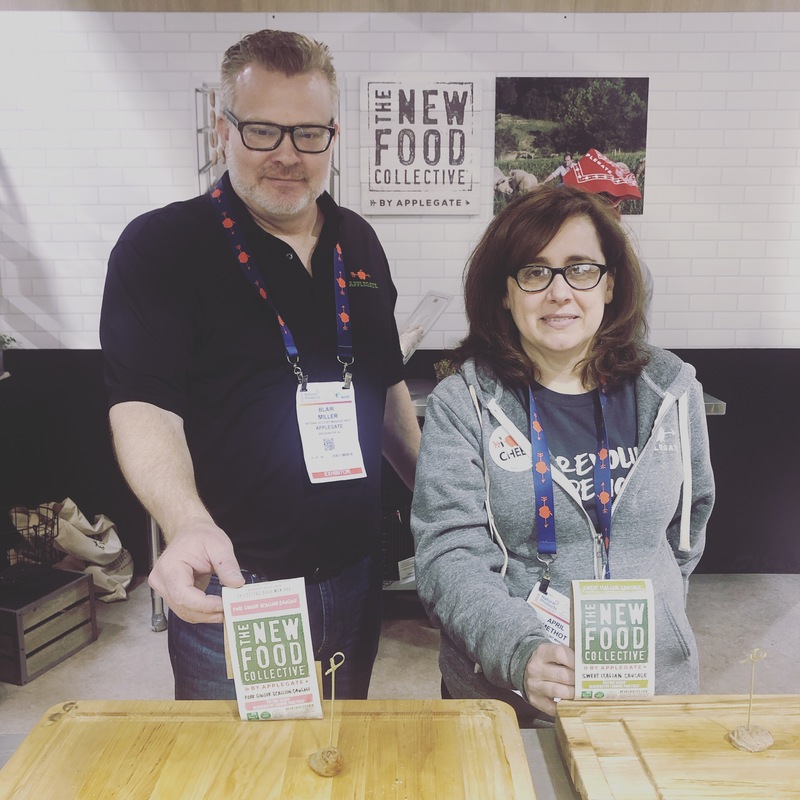 They recently launched a premium brand called The New Food Collective which takes animal agriculture a step further by using regenerative practices. The first foods to be introduced under this label were pork sausages, which I was able to taste at the Expo. 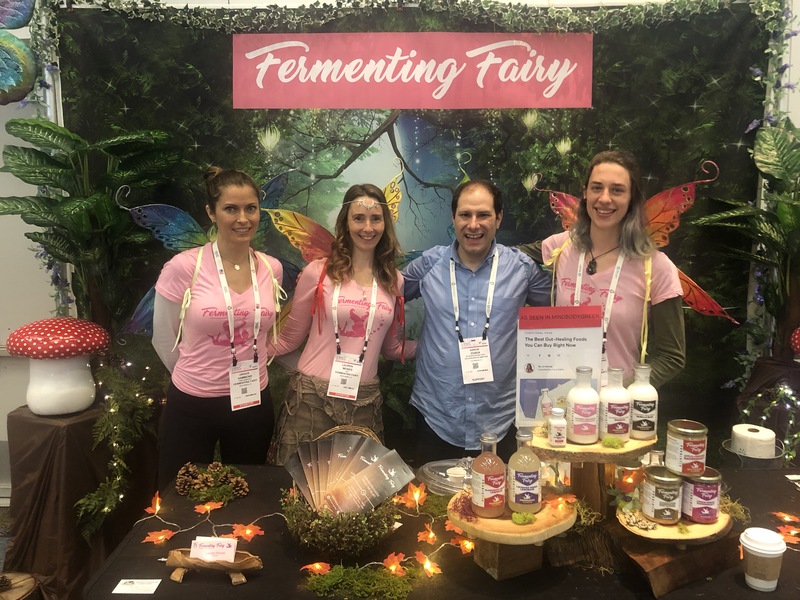 As we keep seeing more and more companies making fermented veggies and beverages, it’s important for the fermenters to have products which will stick out among the pack. Fermenting Fairy succeeds at this across all three types of its ferments. They have a probiotic lemonade, mixing it with such flavors as elderberry and lavender ginger. Their coconut milk kefirs offer varieties flavored with hibiscus and cardamom rose. And with sauerkraut being one of the most popular types of fermented vegetables on the market, they even manage to come up with great twists on that. I love the idea of combining kraut with L-glutamine, another wonderful gut healing production. The apple cinnamon and lemon ginger sauerkrauts were creative too. Plus they had one of the best booths at the Expo, displaying a colorful fairy tale theme to go along with their product’s name. When it comes to baking sweets, there are many sugar substitutes. One that I’m seeing being used more and more these days is monk fruit. Monk fruit is a small sub-tropical melon which has been cultivated in the mountains of China for centuries. 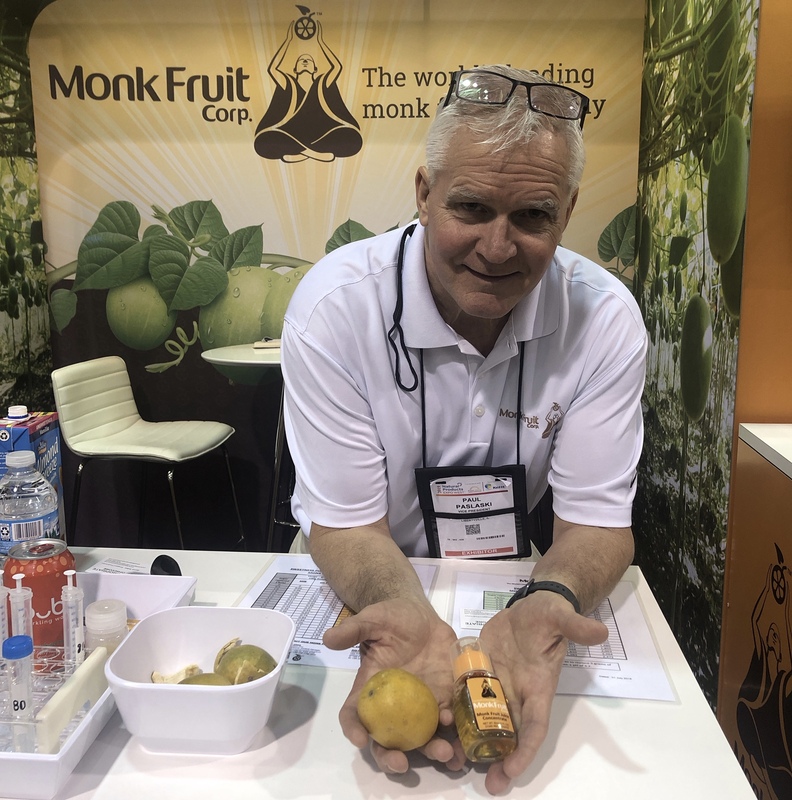 The Monk Fruit Corp both provides its product to other companies to use as a natural sweeter and sells a concentrate and extract for home cooks to use in place of sugar. The New Primal has become a leader in grass feed beef jerky and sticks. More recently they expanded into the condiment arena with clean, sugar free meat sauces. At Expo West, I learned they’re adding salad dressings to their brand. Clean salad dressing is long overdue as the majority of dressings tend to use rancid canola oil. Fortunately, we’re now seeing some paleo and primal companies offer real salad dressings. I’m pleased to see one of my annual Expo West favorites join in the line healthy dressings. And I love how they’re adventurous with their choices in flavors, giving us sriracha tahini, almond butter turmeric, and carrot ginger salad dressings. One of the hardest compounds to digest in grains is the lectins. As sorghum is lectin free, it’s becoming a more popular ancient grain. Nature Nate’s makes a popped sorghum, an alternative to popcorn. They have a number of other products, including sorghum gum, popped KAMUT, and ghee. To top it all off, Nature Nate’s has a popped sorghum flavored with its ghee, mixing its version of popcorn with its clarified butter for a healthy take on America’s favorite movie theatre snack. As I go to deeper and deeper into learning about my number one love of sustainable meat, I find that cows being grass fed is just the start. Nurture Ranch takes things to a whole new level with its concept of each meat pack coming from just one steer. Additionally, this farm promises transparency by putting up a tracking number on the package. The number can then be entered on their website, letting the consumer know everywhere the cow went from birth to harvest. 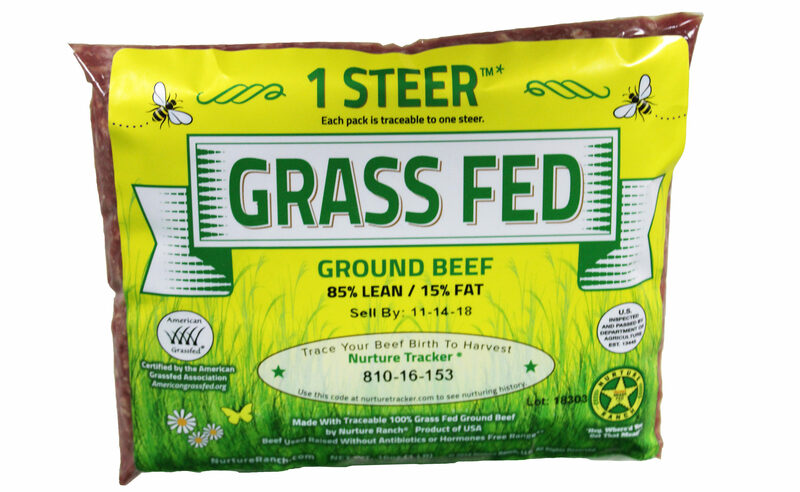 To witness how it works, readers can enter the number on the package of ground beef in the photo above into this site. 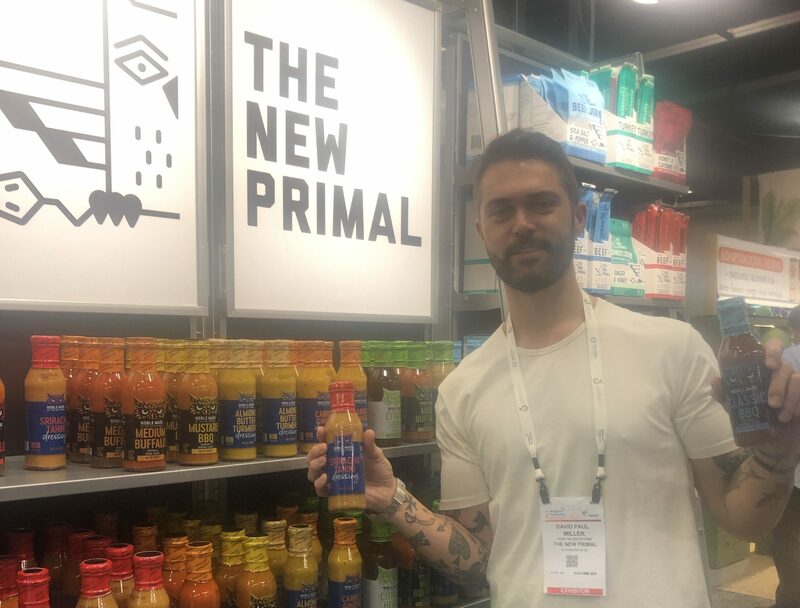 Primal Kitchen has sustainable versions of so many different products from collagen to salad dressings to ketchup and mustard. Their latest creation is a barbecue sauce free of any sweetener, making it friendly for anybody on the Whole 30 or paleo diet. And of course, the sauce is perfect to use on some pastured meat. 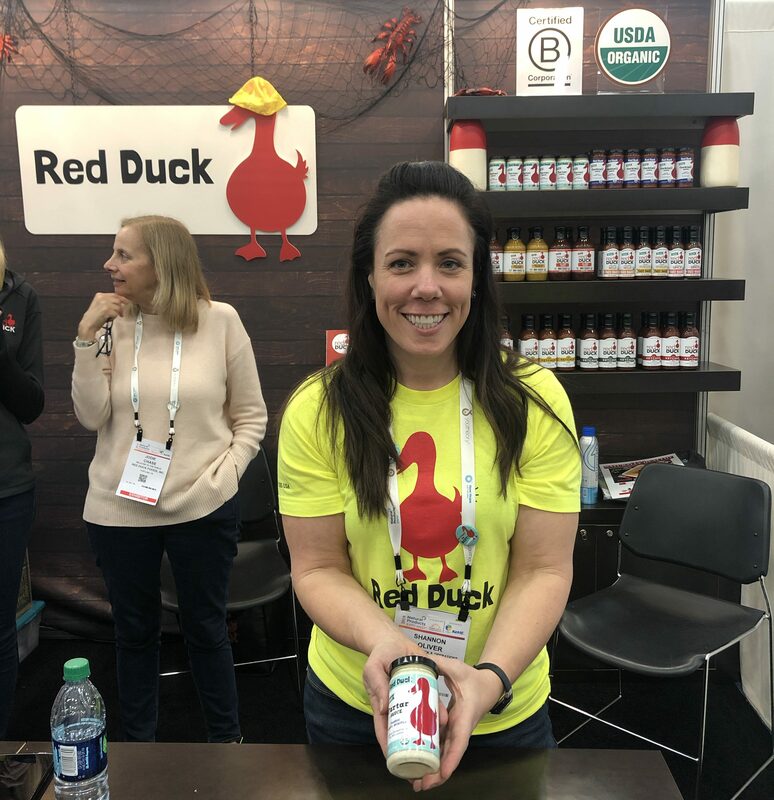 Another exhibitor I always look forward at Expo West is Red Duck. They’re a company founded by three woman who make ketchups and barbecue sauces consisting of clean and easy to read ingredients. 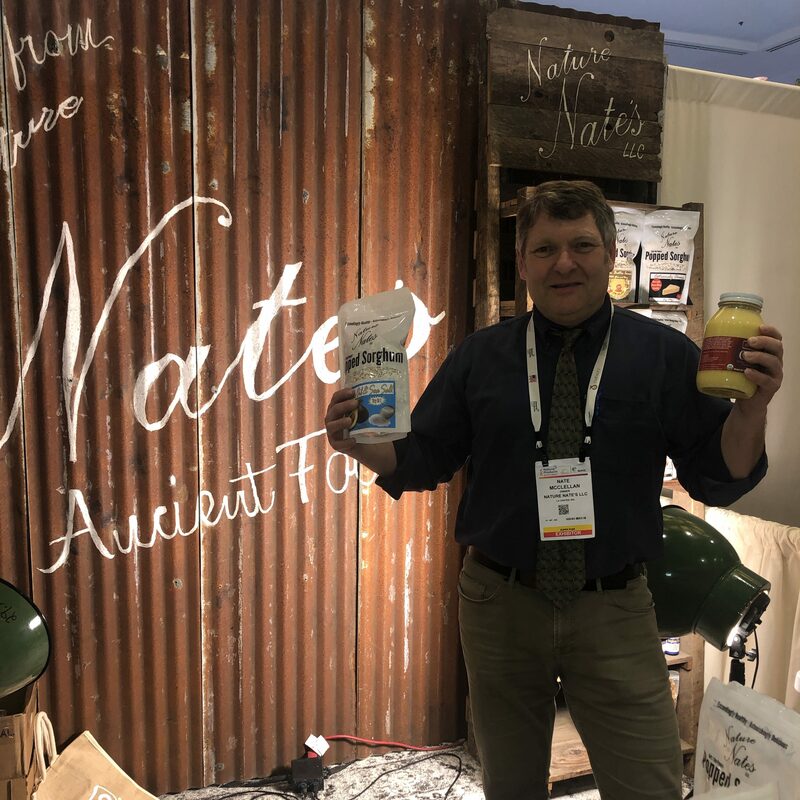 At the 2019 Expo, I tasted a preview of their tartar sauce, which is free of soy, sugar, canola, and preservatives. But they pointed out to me that it had a ton of flavoring. As I tasted it, I agreed. As The Appropriate Omnivore, I emphasize the important of eating both animals and plants. 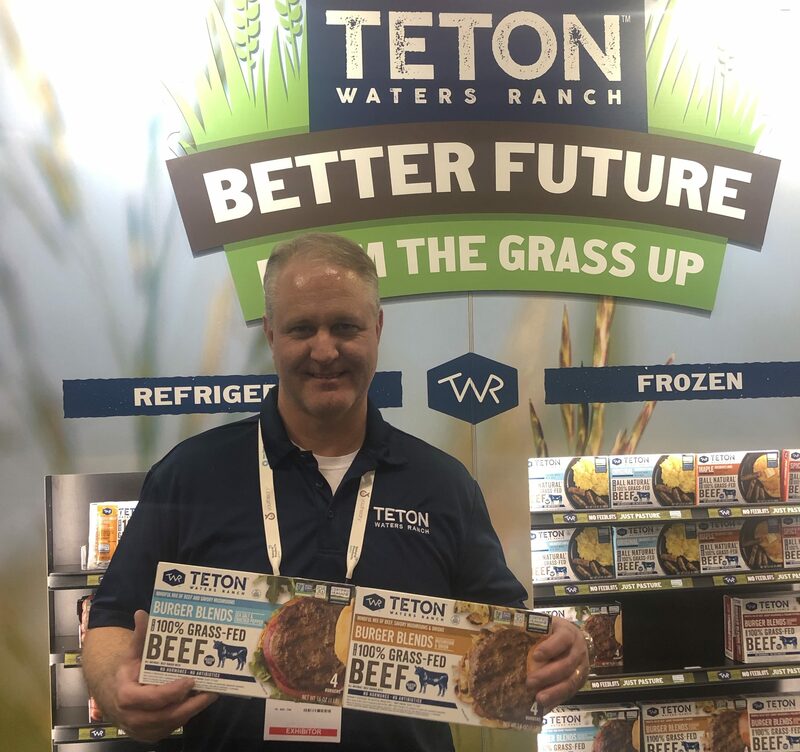 Teton Water Ranch is doing the same with their new series of burger patty blends mixing in seasonings and vegetables to their 100% grass fed ground beef. In the photo above are the sea salt & cracked pepper and the savory mushrooms & onions blends. They also have a southwest style blend of mushrooms and poblano peppers. One of the biggest explosions in the natural foods world which I’m most proud to see is collagen. And even better, a lot of the collagen powders are grass fed. It’s great stirring collagen into your beverages. 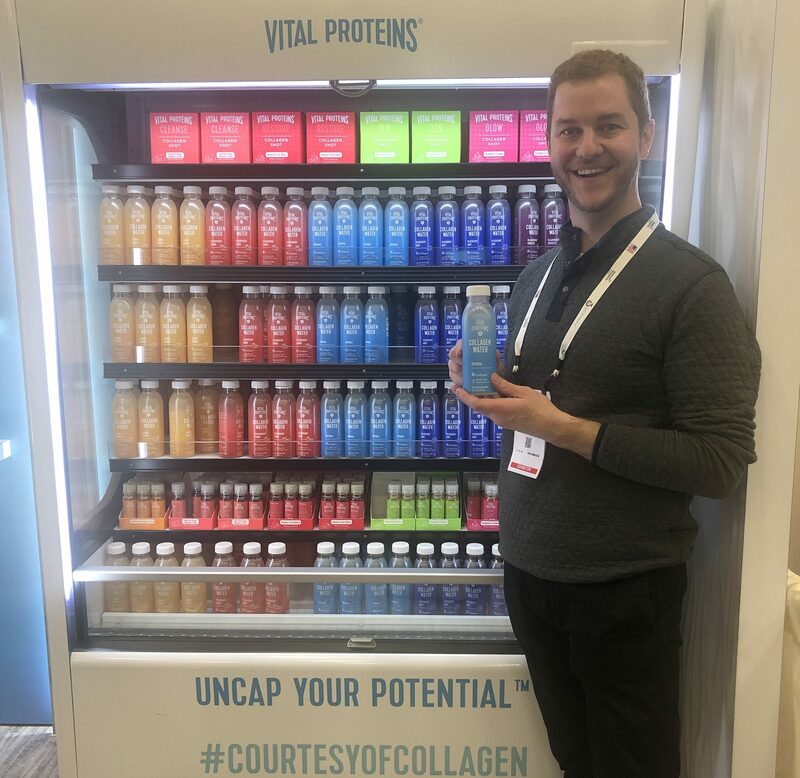 Vital Proteins puts the two together with its collagen water, which mixes water with fruit juices. They also use monk fruit extract to sweeten the collagen water a little bit, combining two recently popular natural products. 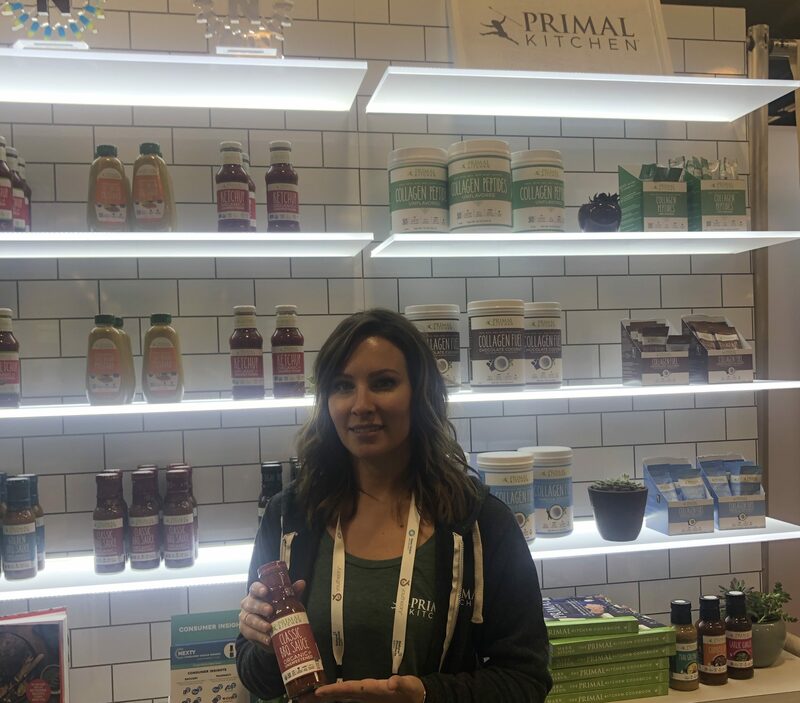 Tagged clean eating, coconut, coconut milk, collagen, expo west, expo west 2019, fermentation, fermented foods, fermenting, ghee, gluten free, grass fed, grass fed beef, healthy, healthy eating, kefir, keto, monk fruit, natural products expo, natural products expo 2019, natural products expo west, natural products expo west 2019, natural sweetener, non gmo, organic, paleo, pasture raised, pasture raised beef, pasture raised pork, pastured beef, pastured pork, real food, regenerative agrictulture, sauerkraut, sugar free, sugar substitute, whole 30. Bookmark the permalink.